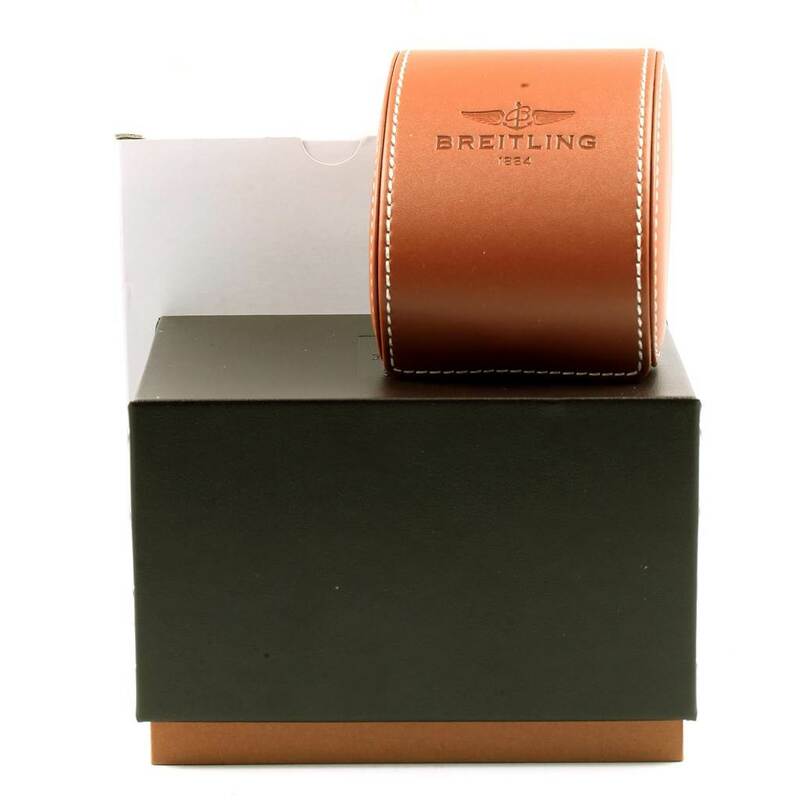 Save Additional $137.70 When Paying With Bank Wire. You pay $4,452.30. 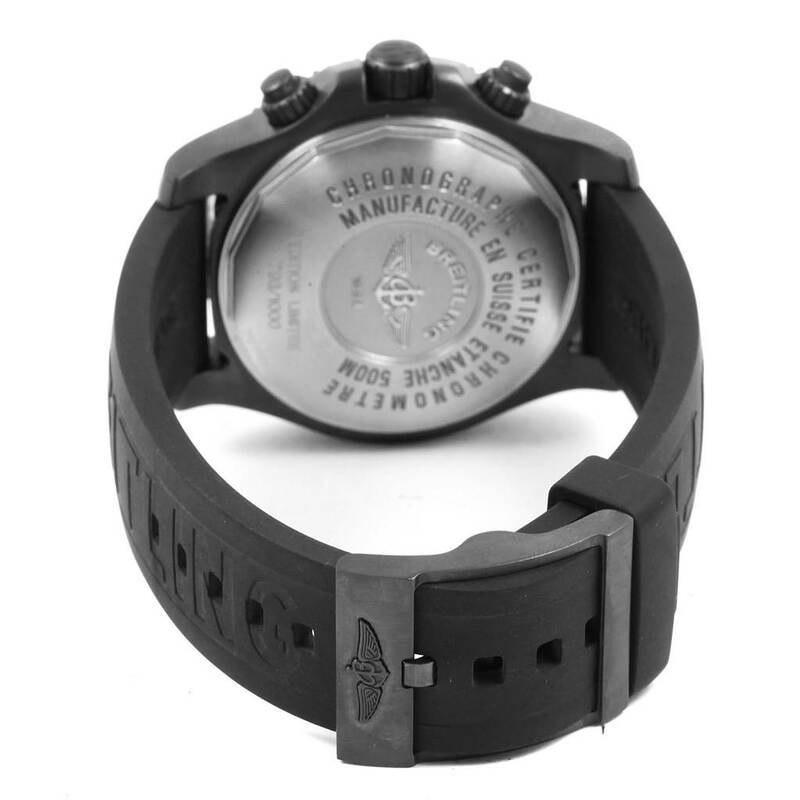 Blacksteel case 44.0 mm in diameter. 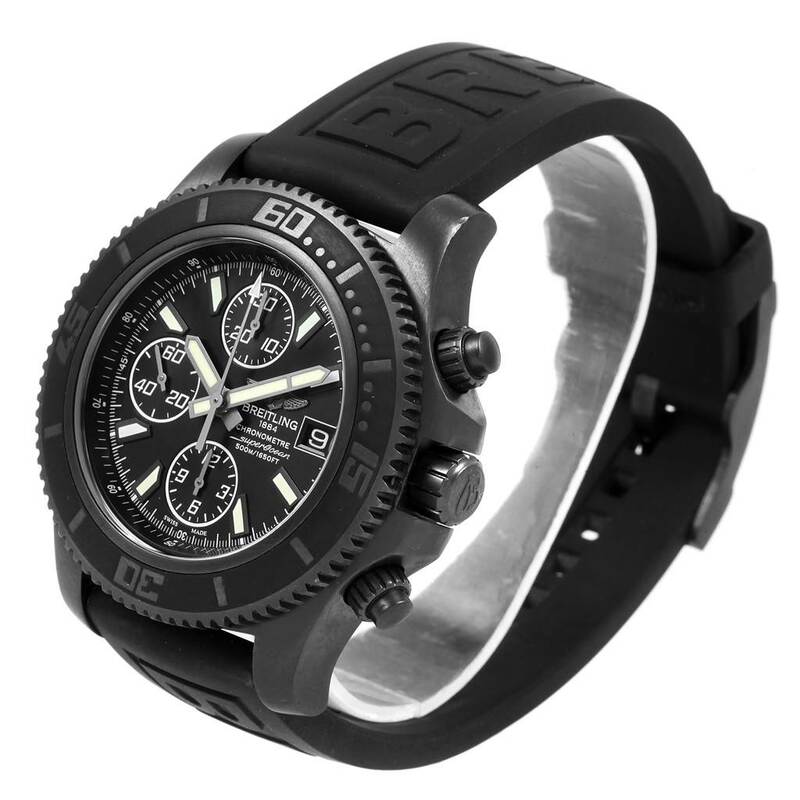 Black ceramic unidirectional revolving bezel. 0-60 elapsed-time. 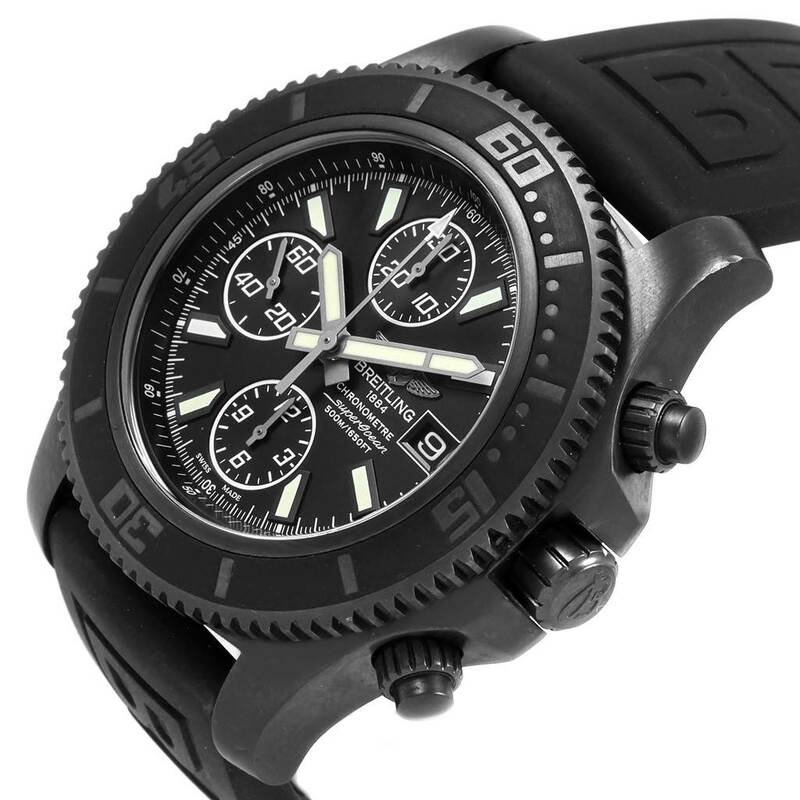 Black dial with luminescent stainless steel outlined hands and baton hour markers. Calendar window at 3. 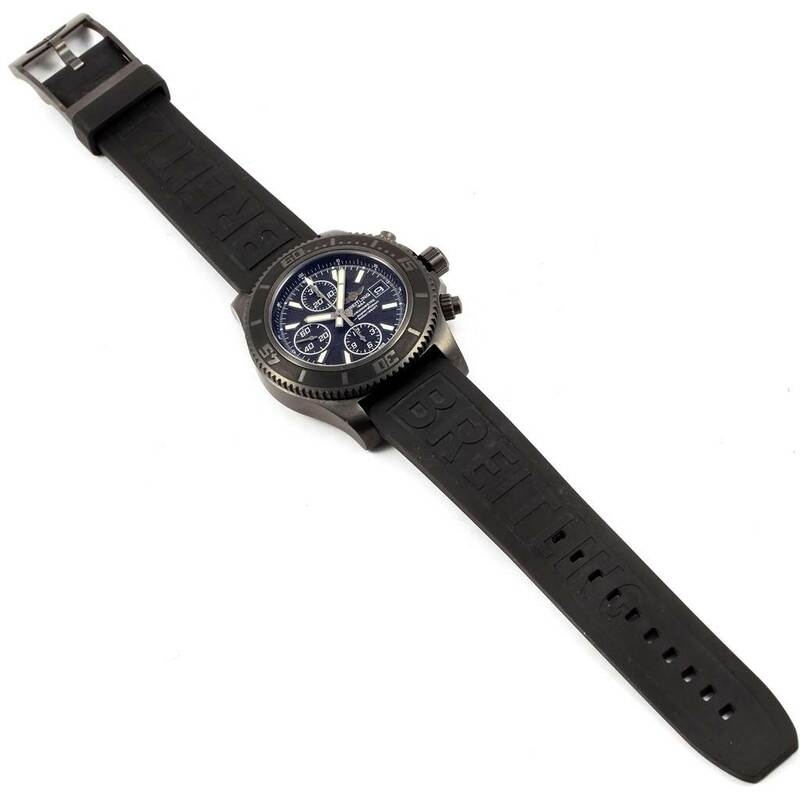 Black rubber strap with black steel tang buckle. 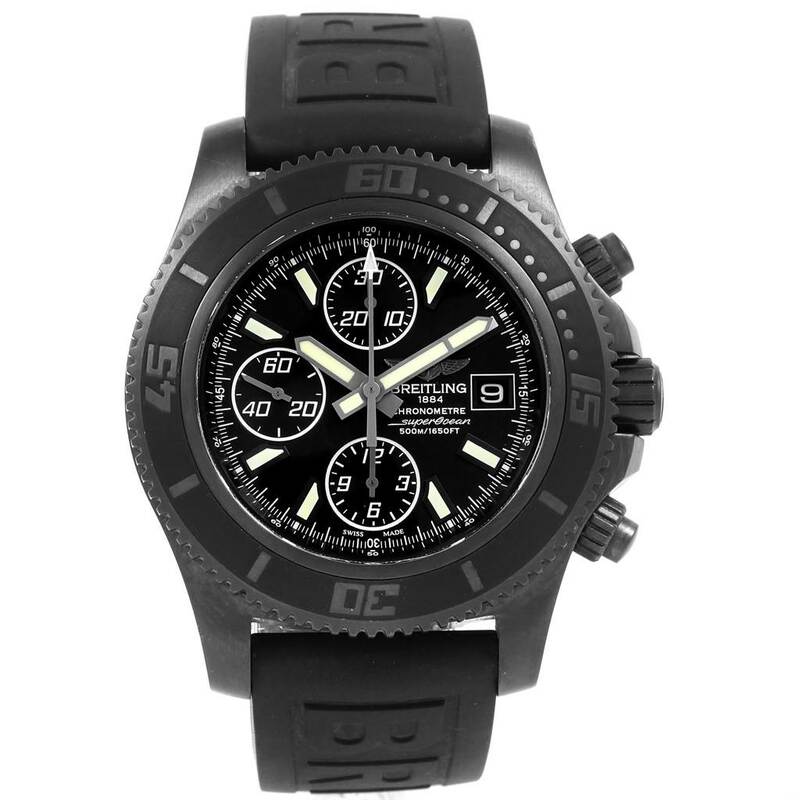 Breitling Superocean Blacksteel Limited Edition Mens Watch M18341. Authomatic self-winding chronograph movement. 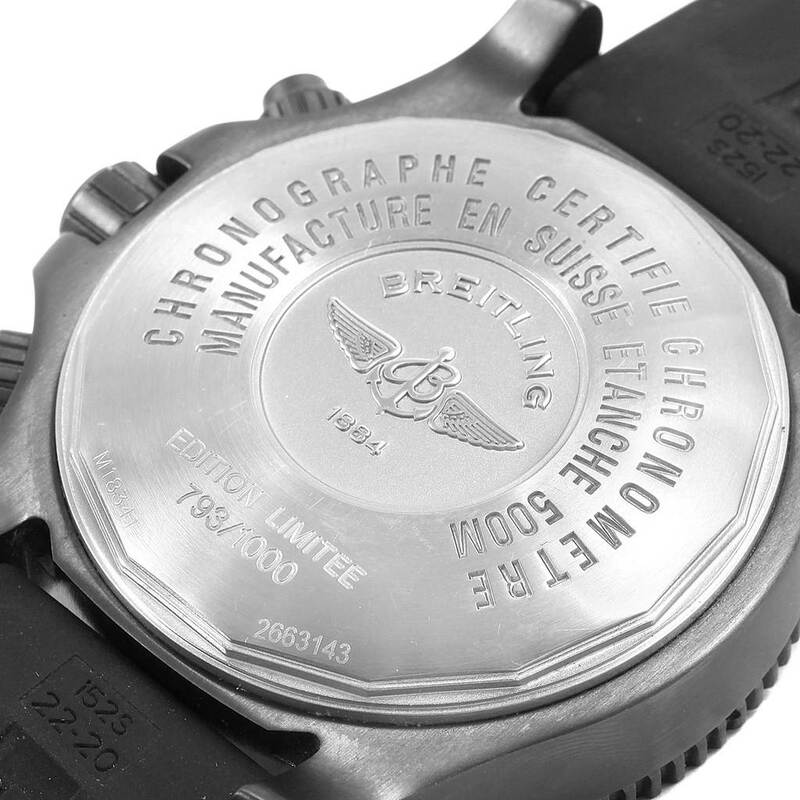 Blacksteel case 44.0 mm in diameter. 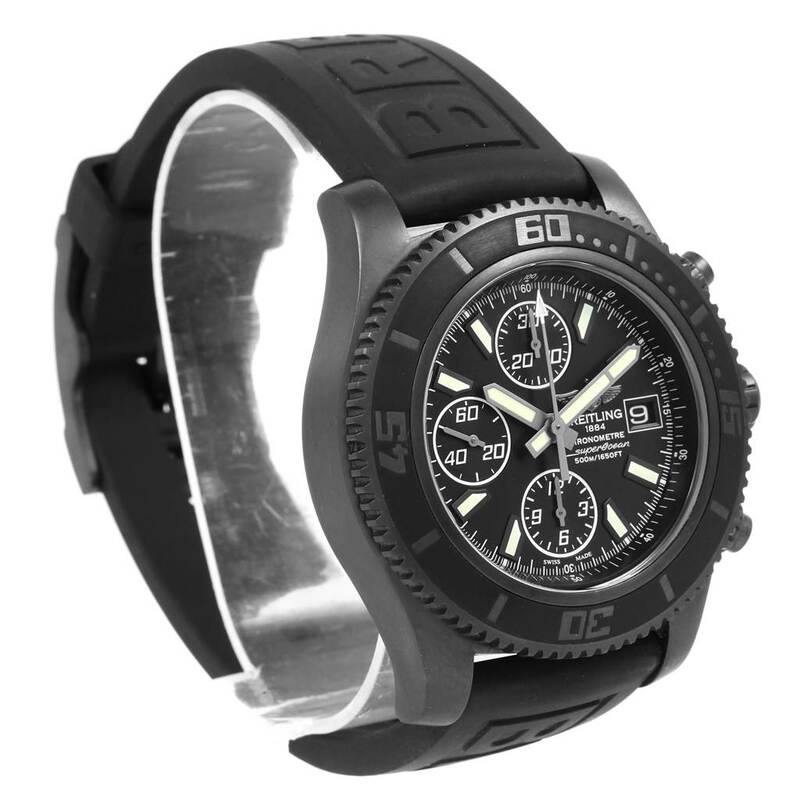 Black ceramic unidirectional revolving bezel. 0-60 elapsed-time. Scratch resistant sapphire crystal. 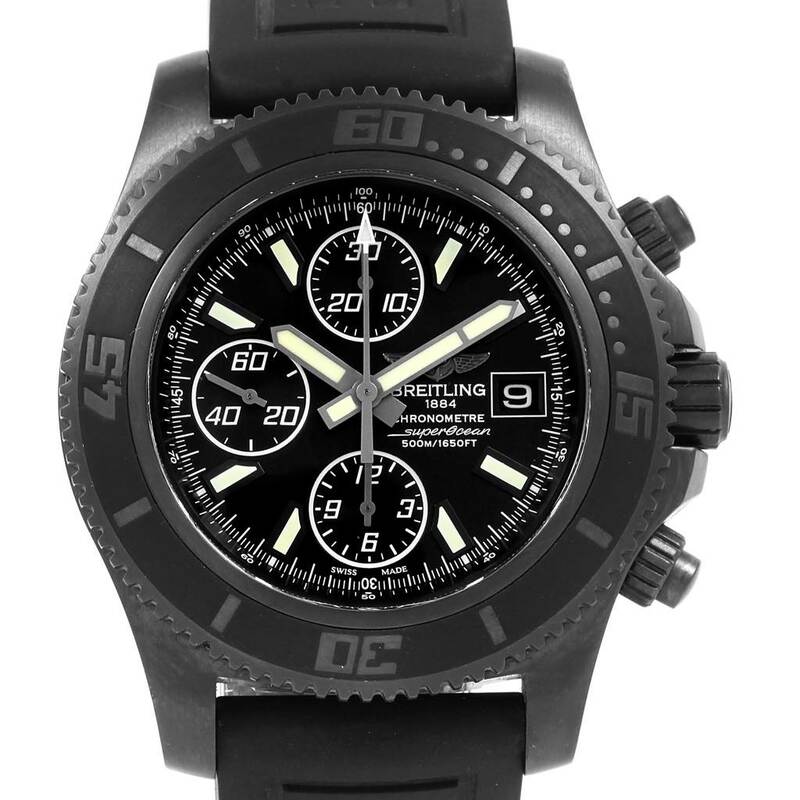 Black dial with luminescent stainless steel outlined hands and baton hour markers. Calendar window at 3. 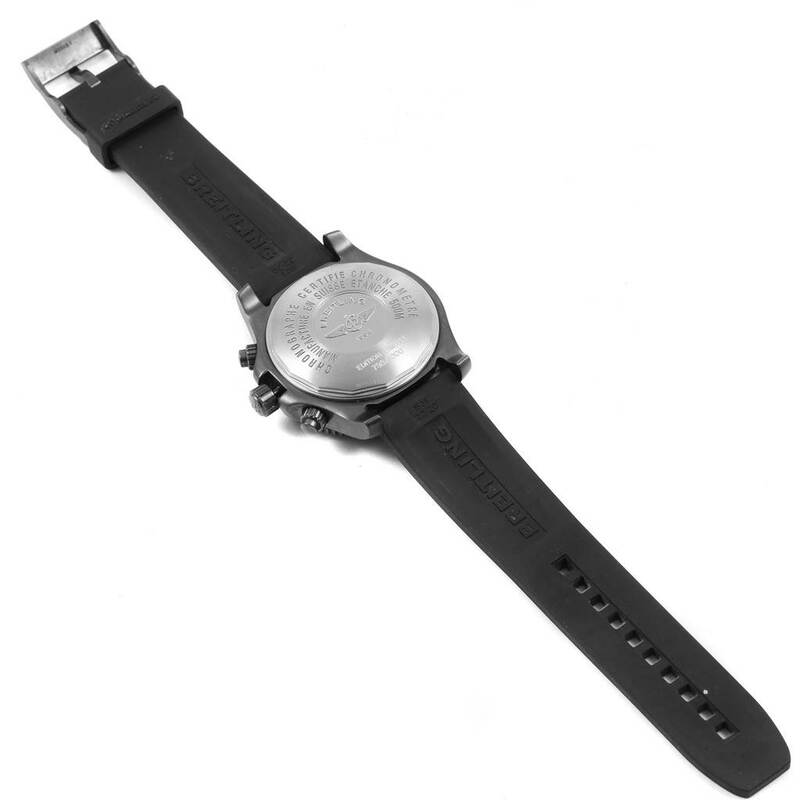 Black rubber strap with black steel tang buckle.